Litter is removed from the lawns during every mowing operation. 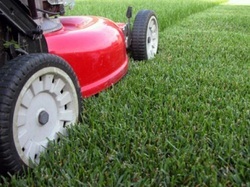 Mowing frequency is selected by the client and varies between every week to every two weeks. High grass where mowers can't reach is trimmed with weed eaters, paved areas and curbs are edged with edgers, and all excess clippings and trimmings are removed from the lawn and all of the property is blown off with blowers. 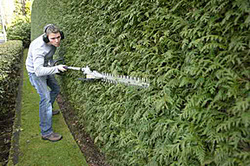 Completed as necessary to maintain the proper shape of all your bushes and hedges. Shrubs are re contoured to restore level form and proper shape to keep your yard looking great all year long. We will manage your flower beds and keep them looking great. Plant beds are carefully edged, and we use a combination of manual (by hand) and chemical (herbicide) methods to effectively control plant bed and pavement weeds. 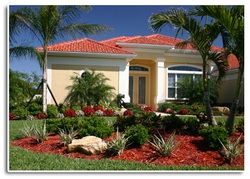 We apply premium grade commercial fertilizers specifically formulated for your lawn, plants, trees, palms, and shrubs. 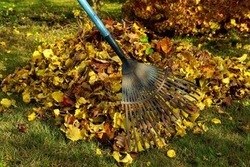 We also offer landscaping design and initialization, sod, mulch, and yard clean-up.